What Did Benedict Cumberbatch And Eddie Redmayne Text Each Other After Learning Of Their Oscar Nominations? Eddie Redmayne has admitted that after learning of his Oscar nomination this morning, he shared an emotional text conversation with his fellow nominee, Benedict Cumberbatch. Redmayne told Entertainment Weekly that one of the first people he messaged after being told he was up for the coveted gong was his fellow British thespian. 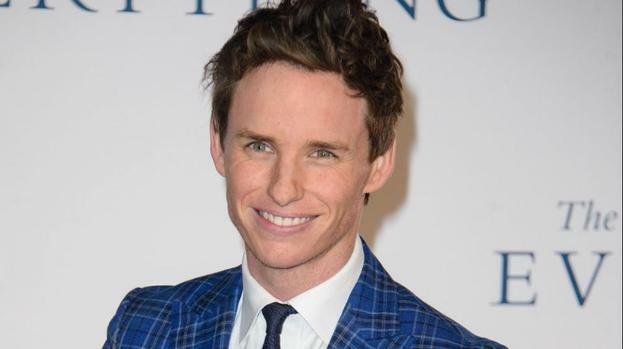 Eddie Redmayne was in Los Angeles when he learned of his nomination. In fact, he was still fast asleep when his manager banged on his hotel door to inform him of the Academy’s decision. However, rather than being given a moment to savor this momentous milestone in his career, Redmayne immediately had to start answering calls and promoting his campaign. Eddie Redmayne has been nominated for his performance as Stephen Hawking in The Theory of Everything, while his close pal, Benedict Cumberbatch, received his recognition because of his portrayal in The Imitation Game, where he played famed code-breaker Alan Turing. The pair will go up against Foxcatcher’s Steve Carell, Birdman’s Michael Keaton, and American Sniper’s Bradley Cooper in their bids to land the award. What makes Eddie Redmayne and Benedict Cumberbatch’s nominations a tad more intriguing is that Cumberbatch has actually played Stephen Hawking before. In 2004, Cumberbatch starred in Hawking, a BBC television film that revolves around the scientist during his early years as a PhD student at Cambridge University. Like Redmayne, he was lavished for his portrayal. According to the Daily Mail, Benedict Cumberbatch noted that it was “one of the proudest moments” of his life to tell his parents, both of whom are actors, that he had received an Oscar nomination. Who do you want to win the best actor Academy Award? Benedict Cumberbatch or Eddie Redmayne?